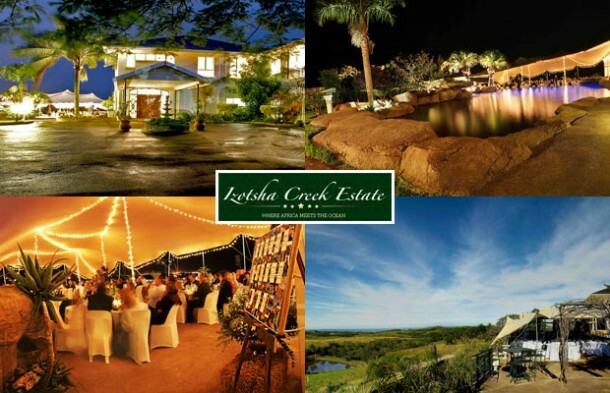 What has to be the most stunning venue on the KwaZulu Natal South Coast, Tie The Knot are thrilled to present the wedding facilities at Izotsha Creek Estate. 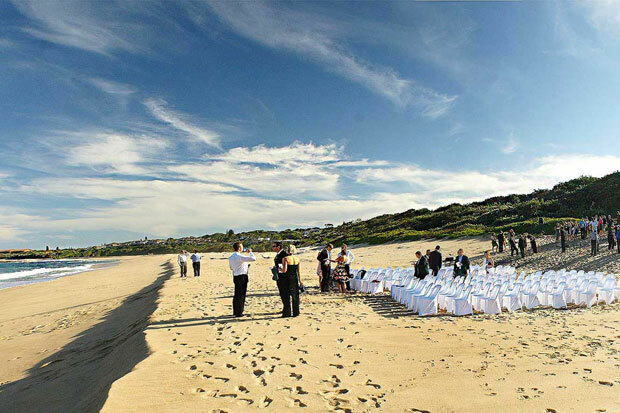 Izotsha Creek is a tranquil Estate with fantastic sea views, beautifully manicured gardens, stunning rock pool and an avenue of Royal Palm trees welcomes you for your special Wedding day or relaxing Shelly Beach experience. The Panoramic Deck, which has a 180 degree sea view, is an idyllic and romantic setting, yet an adventurous scene for an amazing wedding reception. Izotsha Creek Esate can accommodate up to 200 seated guests, with a spacious dance floor. (Depending on your requirements, 100 guests are seated under the permanent deck structure and additional guests are accommodated under a ‘Strech tent’ that is tastefully moulded to the permanent structure to create an amazing setting). The Norwegian Settlers Church, with its newly installed pipe organ, can be utilized when booking your reception at Izotsha. (The church is 2 km from the venue). The helpful Team at Izotsha are able to arrange for a Marriage Officer to preside at your wedding if needed.